Vermont’s lakes are some of the features that make our state so beautiful. But in recent years, the EPA has determined that lakes with poor lakeshore habitats are three times more likely to be in poor biological condition—and Vermont’s lakes are at risk. As anyone who owns property along one of our state’s many lake shorelines is no doubt aware, Vermont passed the Shoreland Protection Act in 2014 as a way to guide new development within Protected Shoreland Areas. The guidelines are helping to prevent degradation of water quality, preserve habitat and natural stability of shorelines, and maintain the economic benefits that the lakes and their shorelands provide. 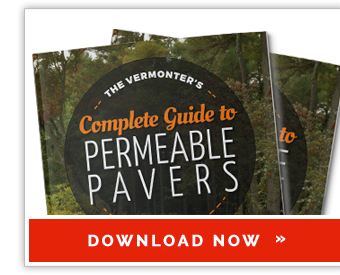 How do permeable pavers help Vermont’s lake environments? One of the factors that contributes the most to damaging Vermont’s lakes is polluted runoff from stormwater—and that’s where permeable pavers come into play. For lakefront properties, the standards set out in the Shoreland Protection Act specify a maximum of 20% impervious surface, with the rest of the property being a permeable substance. Impervious Surface – A solid, mainly artificial surface such as a roof, driveway, deck, etc. that is covered by an impenetrable material (asphalt, stone, and certain concretes). Impervious surfaces cause increased runoff during storms which can result in erosion and reduce the absorption and filtration functions of natural vegetation. Permeable Surface – Allows water to penetrate into the soil to filter out pollutants and recharge the water table (also known as porous or pervious surfaces). Examples include gravel, mulched beds, and turf. So, with only 20% of impervious surface area available, what is a property owner to do if they want to develop a patio, walkway, or other hardscape element in their yard? 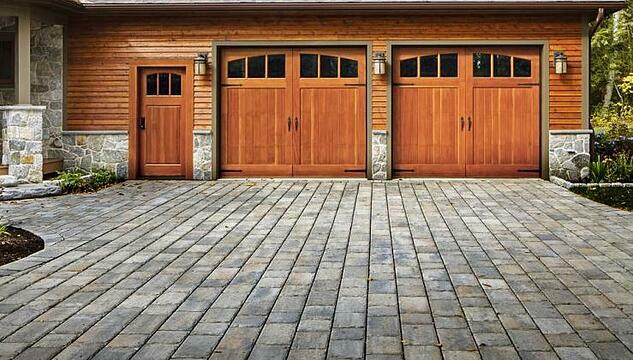 The answer: use permeable pavers. Permeable pavers are a range of sustainable hardscaping materials that act as a permeable surface, mimicking the way natural land absorbs water and allowing water to filter through the surface into the soil. They are a fantastic option for Vermont homeowners looking to achieve a beautiful, functional hardscape look while also adhering to the standards of the Shoreland Protection Act. 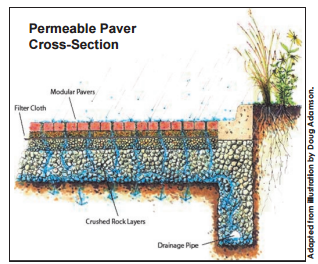 What types of permeable pavers are available? While the environmental benefits of permeable pavers are undeniable, there also needs to be a range of aesthetic choices to match homeowners' styles. Luckily, there are many options when it comes to texture, color, and other design elements. Permeable pavers offer the same visual benefits of other types of hardscape materials while also being good for our state’s lakes. At Trowel Trades Supply, our concrete and clay paver manufacturers offer a wide range of permeable paver options that suit any style. 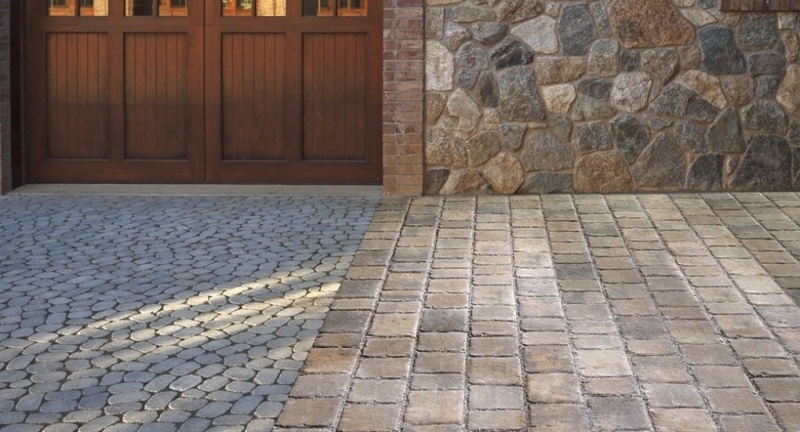 Belgard offers several fully-permeable pavers, but also has pavers which, when installed using certain methods, will allow water to flow through them. They also offer a wide range of inspiring textures and patterns. Click here to explore the options. 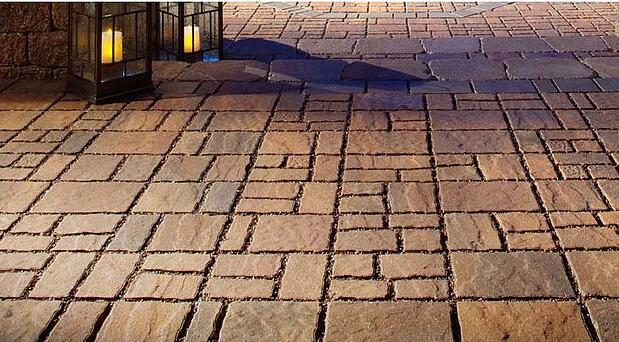 Techo-Bloc offers a wide range of interlocking permeable pavers for residential and commercial driveways and patios. Click here to explore the options. 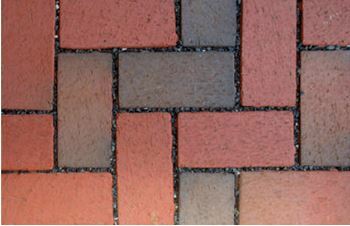 Unilock’s permeable paver line provides options for every application, from heavy duty driveway pavers to high-performance patio blocks. Click here to explore the options. Pine Hall is a leading manufacturer of a unique brick alternative that shares the same elegant look and durability as brick, but made with sustainable materials that support storm water flow. Homeowners particularly enjoy the RainPave product, which provides the look of historic clay pavement while offering the benefits of water filtration.